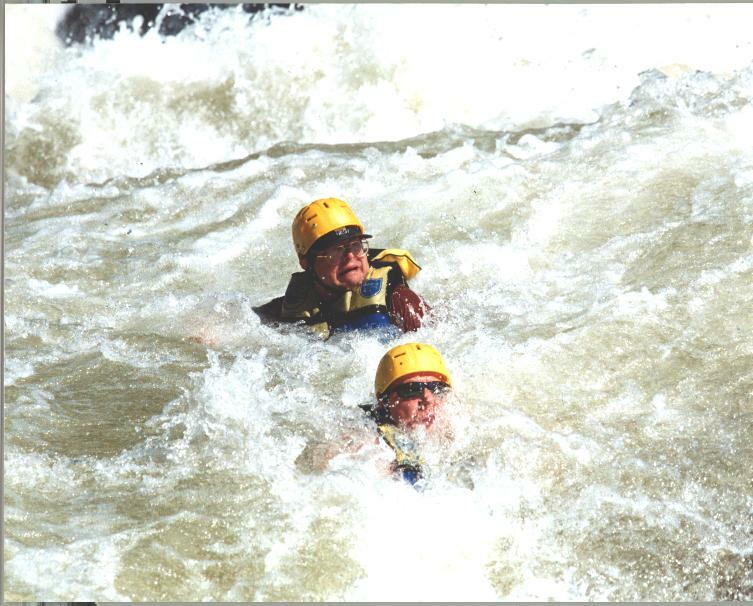 The fifth of Mike's annual rafting trips with old friends on the Upper Gauley River in West Virginia -- September 13 & 14, 2002. (I had to miss the September 14 & 15, 2001 trip because no one was flying then. :-( ). Our crew this time was David Lund, Mark Stevenson, Alex Perkins, Dave Krohn, Steve Cammarn, Bryan Derrenger (who flew with me from Seattle to participate), and Mike Jones. Surfing chicken-enders, a dynamic beast of a hydraulic, with Darren and the crew just can't be beat! The T-shirt from this year reads: (on the front) "Life without danger..." (on the back) "is a waste of oxygen".